HPI Racing's proven RS4 Sport 3 chassis has a new look that is both bold and very recognizable. 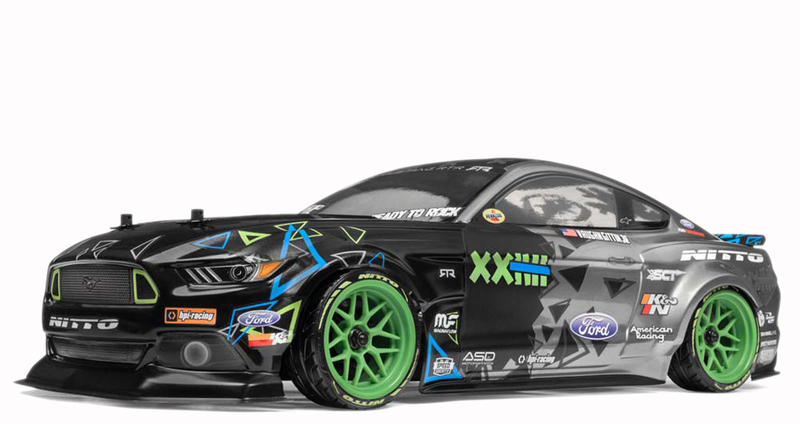 An officially licensed scale replica of Vaughn Gittin Jr.'s 2017 Mustang body gives this on-roader one-of-a-kind looks, complete with his newest livery colors and sporting Tech 7 neon green rims. Performance-wise, you'll enjoy all of the advantages the RS4 Sport 3 is known for. The Firebolt 15T motor is mounted next to the drive shaft for greater balance. All-metal gears in the diffs provide positive power transfer. To protect against the elements and severe track conditions, the shaft-driven 4WD drivetrain is completely sealed, and all on-board electronics are waterproof.